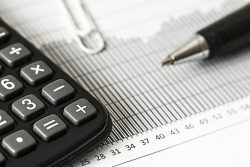 The run up to 5 April, with the Budget (and often Easter) intervening, can be a frenetic time for personal financial planning and the new tax year. All tends to go quiet once the new tax year begins, but the reality is that there are many planning points that are worth considering at the start of the tax year rather than leaving it until the end. ISA contributions (£20,000 maximum in 2017/18) are best made at the start of the year rather than the end, as it means the tax benefits are enjoyed for nearly a year longer. A similar argument applies to pension contributions, although if your income for the year ahead is uncertain, the case for delay is stronger. The dividend allowance is £5,000 for this tax year, so it is worth checking early on how much dividend income you are likely to receive and whether that prompts any investment changes. Remember, in 2018 this drops to £2,000. If you are married or in a civil partnership, that might mean transferring assets between the two of you. Similar considerations of who holds what apply to deposit accounts and the personal savings allowance of up to £1,000 a year each. The many thresholds built into the income tax system are a driver to working out what might be your total income in the tax year as soon as possible. If you know in April you are likely to be near a threshold by next March, you have that much more time to plan accordingly. And another one to think about is the new Lifetime ISA – or LISA – which is being introduced this new tax year. If you would like a tax year beginning a review of your financial planning, please talk to us now – don’t wait until next March.